South Korea's two major electronics makers, Samsung and LG, are both investing heavily in the Internet of Things. Whereas Samsung is baking its smart home hub directly into its high-end line of Tizen-based televisions, LG is opting for a more traditional approach with its new standalone hub. The LG SmartThinQ Hub looks strikingly similar to Amazon's Echo but rest assured, they're two totally different devices. As the name suggests, the cylindrical-shaped gadget is meant to serve as the heart of your connected home. In addition to working with LG-branded smart products like washing machines, ovens, light bulbs and its recently announced Hom-Bot Turbo+ robotic vacuum, it'll also play nice with other smart home platforms such as Zigbee. There's a 3.5-inch LCD screen on top of the hub to display notifications as well as a speaker on the inside should you want to listen to some music. The speaker can stream tunes directly from iHeartRadio or from a mobile device via Bluetooth. It'll be offered in two colors - champagne gold or black - LG says, and unlike the Amazon Echo, it doesn't double as a voice-activated digital assistant. 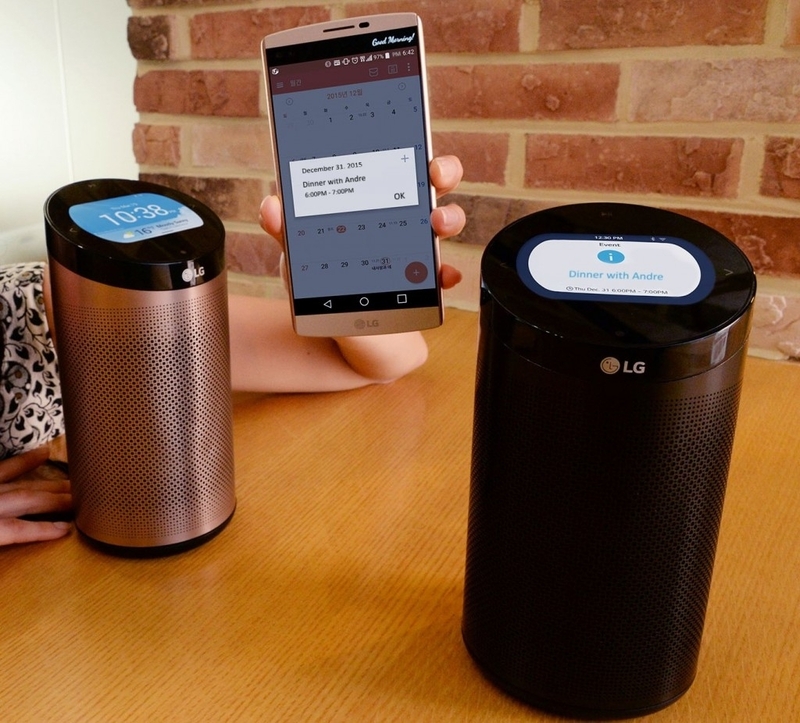 LG will officially unveil the SmartThinQ Hub at next week's Consumer Electronics Show in Las Vegas. Unfortunately, we don't yet know how much the hub will sell for or when it'll be available for purchase.